Plymouth Tube Company’s Chicago Processing facility can process industry standard edges, AISI #1-#6, or specialized custom edges. Inspection capabilities include Rockwell hardness and optical checks. 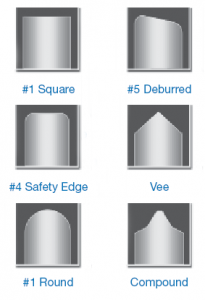 The following material capabilities apply to deburring and skiving #1 round and square edges.